With apologies to those of you who like to echo Marilyn Monroe’s Lorelei Lee warbling “Diamonds Are a Girl’s Best Friend” — I beg to differ. You will get far more wear out of a rope of classic white pearls. They never go out of fashion, you can wear them daily, and they will last for generations. Which is why I often donate pearl necklaces to silent auctions. And this October there are two of my statement necklaces tempting donors to support a pair of good causes. 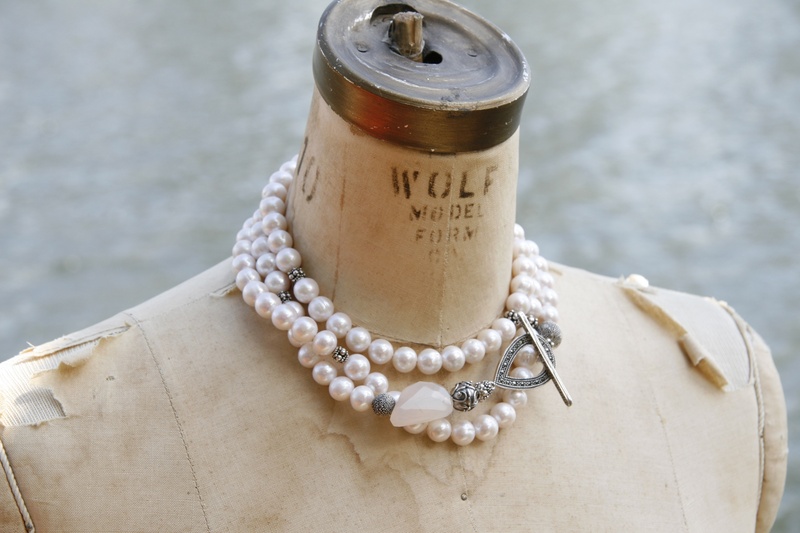 Over at Arts Umbrella, the performing and visual arts school for kids, you will find this elegant mix of freshwater pearls and decorative sterling silver beads, punctuated with a white chalcedony accent stone. It’s part of the Splash 2015 fundraiser, Oct. 17. White pearls, sterling silver beads, a white chalcedony accent stone and a sterling silver marcasite clap. At 127 cm (50 inches) long it will be one of the most versatile necklaces in any woman’s wardrobe. You can wear it flapper-style, as the perfect accessory to the current fashion trend of clothes inspired by the 1920s and ‘30s. Or you can triple-wrap it into a collar-length necklace that’s perfect with a bare evening gown or under a suit jacket. I have a similar piece in the B.C. Women’s Hospital Foundation fundraiser, Hope Starts Here, also on Oct. 17. 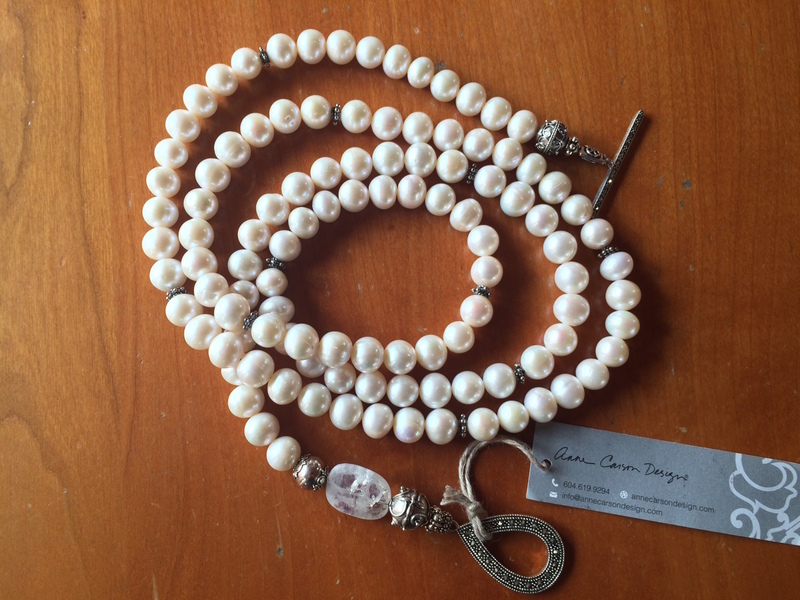 Only this necklace is a long rope of white pearls and silver with a moonstone accent. White pearls, sterling silver beads, a moonstone accent and a silver marcasite clasp. Unfortunately, I won’t be there to cheer them on. I’m on vacation until Oct. 19.